Police on Thursday night rescued a tour operator from Kolkata and his subordinate who had been confined to a hotel in Darjeeling for a month, allegedly for not paying their hotel bills. The two, identified as Tapas Banerjee (50), who operates a tour business out of Behala in Kolkata, and his employee Ranjan Chatterjee (51), also from Behala, were rescued from Hotel Nirvana, located below the Darjeeling railway station. According to the police, it was a case of non-payment of hotel bills by the duo and wrongful restraint and confinement on the part of the hotel owner. “We received a call from the Parnashree police station informing us that two tour operators from Kolkata had been confined to a hotel in Darjeeling. We went to the hotel last night and rescued the duo,” said Amit Javalgi, the Darjeeling SP. A case under Sections 344 and 348 of the Indian Penal Code has been started against Ashwini Poddar, the owner of the hotel, following Banerjee’s complaint, but no arrest had been made as investigation was in progress. Banerjee and Chatterjee had opted for a package deal on offer and checked into Hotel Nirvana on May 26 leading a group of 60 tourists from Kolkata. Their clients left on May 28 but the duo was forced to remain back in Darjeeling by the hotel owner. 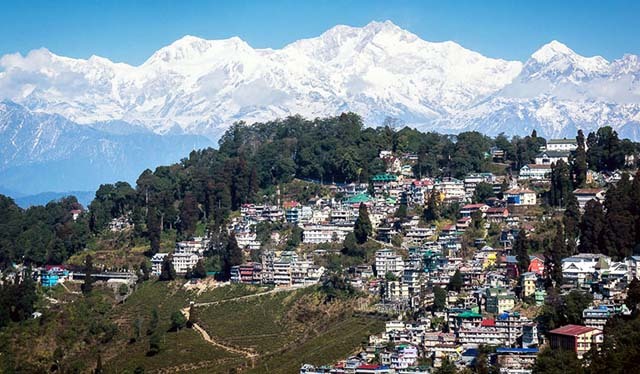 “We had taken a package deal which included rent for 20 rooms and vehicle charges for our Gangtok trip from May 23 to 25 and stay in Darjeeling from May 26 to 28. Unfortunately, we suffered a loss as we had undercharged our clients. I had already paid an amount of Rs1.13 lakh and some due remained, which I assured to pay in parts, but the hotel refused and instead did not allow us to leave,” said Banerjee. Apparently, the duo had been doing business with the hotel since the past three years and this was the first time that they had come in person. “We had good relations with the hotel as we had been doing business for three years. Since the group was huge this time, we had to come along. They (hotel) did not even allow us to go out of the hotel premises and kept us in separate rooms for a month. At times the staff misbehaved with us,” alleged Banerjee but said they were given food. On the other hand, Chatterjee alleged he was forced to do menial work during the month-long confinement. “I was asked to clean the rooms and serve food. Sometimes I had to also do the marketing but a couple of hotel staffers always escorted me. Our voter identity cards were also confiscated. It was really a humiliating experience,” he said, recounting the ordeal. The duo was in contact with their families in the duration of their confinement. But it was only a week back that Chatterjee’s wife lodged a complaint at the Parnashree police station. “We were made to sign an agreement on May 17 to pay the dues in installments and accordingly, I got my cheque book couriered from Kolkata. However, after a few days I asked my subordinate to tell his family to lodge a police complaint in Kolkata as my phone was damaged,” Banerjee said. Meanwhile, the hotel owner refuted the allegations saying the tour operator had previous dues that had not yet been cleared and that the cheque given by Banerjee had been returned by the bank. “We did not confine the two forcefully as they themselves had agreed to stay till the dues were cleared. We had also come to an agreement in the presence of a lawyer and they agreed to pay the dues within May 22,” said Poddar, who was on his way back from Gangtok. According to the hotelier, Banerjee had taken a package for 60 passengers at Rs3,500 per head including vehicle charges. However, the tour operator turned up with 76 customers, which led to an increase in the number of vehicles. “The total cost for the six-day stay in Gangtok and Darjeeling comes to Rs2.66 lakh for 60 people. But the number of visitors increased and so did the vehicles,” said Poddar. “An amount of Rs30,000 from May 2015 is also due from him. He (Banerjee) issued me five post dated cheques of Rs41,000 each. I came to know today from my bank that a cheque issued for May 22 has bounced. So tell me who is wrong?” he asked.